Playing around with color is one of the best ways to add vibrance to your amazing new kitchen with white cabinets. A colorful backsplash can add a real pop to an otherwise somewhat neutral kitchen space, or contribute further to an existing bold look with little work. 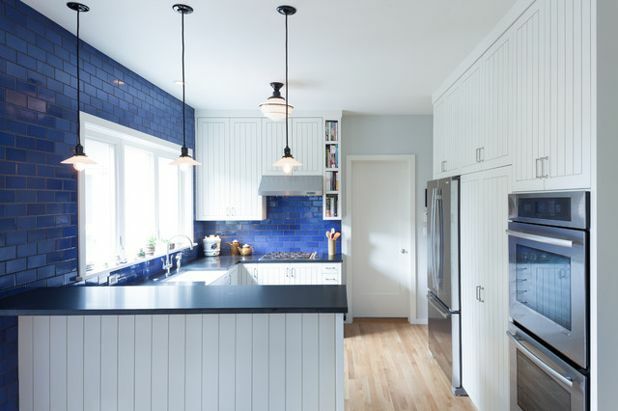 Whether you’ve got a rustic traditional kitchen with shakers or a modern and chic cooking area, blue backsplashes do the trick with some tweaks in style. Sometimes the greatest explosion of life in a kitchen can come from the tiniest splashes. This kitchen struts its stuff with a relatively minute backsplash on its satellite countertop: wow! It looks phenomenal beside all of the white, with the beautiful rustic wood island countertop. With those great white cabinets, the overall sensible appeal is just right. In March we talked about kitchen backsplash ideas for flat European cabinets with a great example from our wholesale cabinet showroom in San Gabriel. 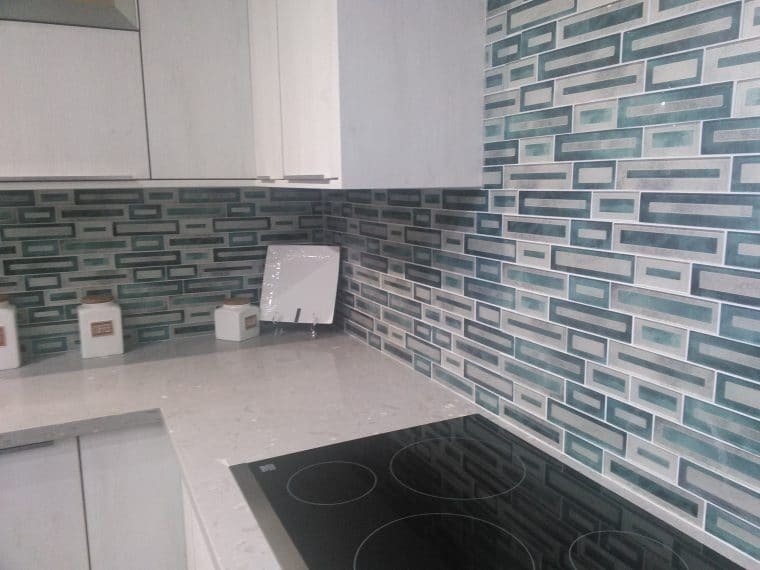 Colorful glass tiles look absolutely amazing alongside modern white cabinets, and a chic modern style matches flat panel cabinets perfectly. Inset white cabinets can be a tricky aesthetic to match. 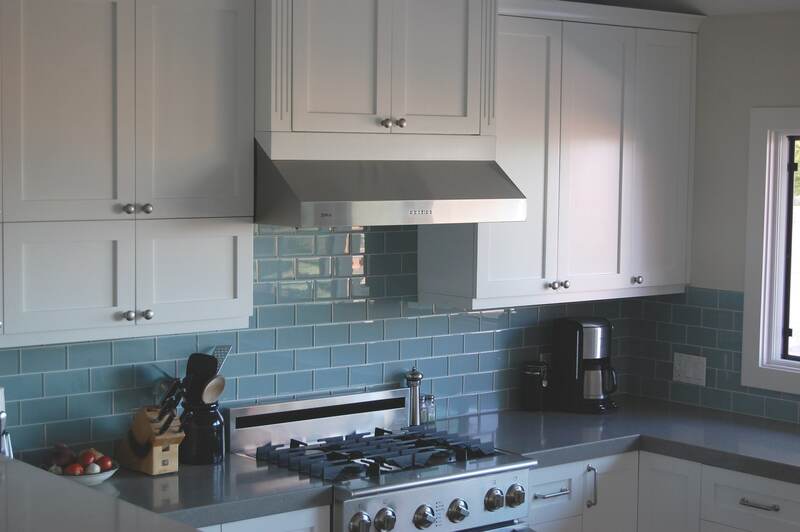 We like subway style tiles for them, as they nicely contribute to a sense of tight conformity within the kitchen. “A place for everything, and everything in its place” is the name of the game here, with clean lines and angles. 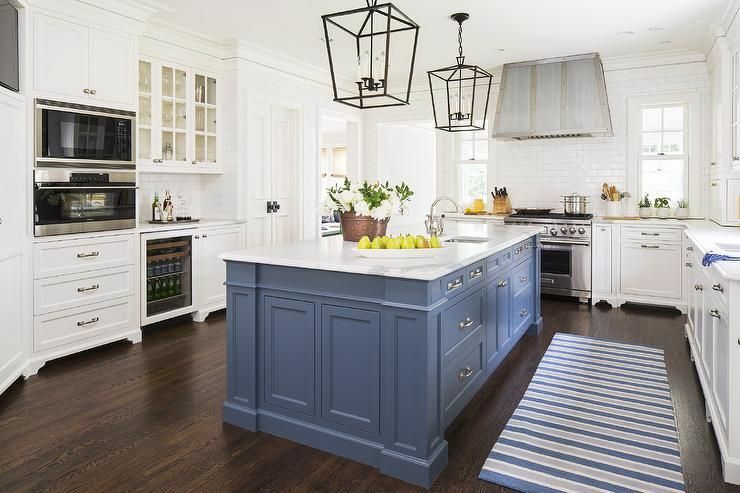 Infographic: What Color Should Your Kitchen Cabinets Be? 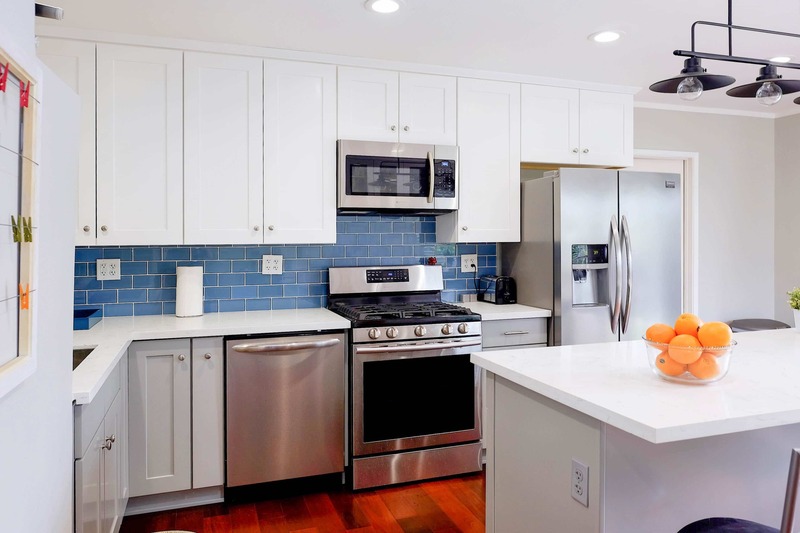 Going with a nice blue tile backsplash can cost a little more but add a significantly greater contribution to the look of the space. 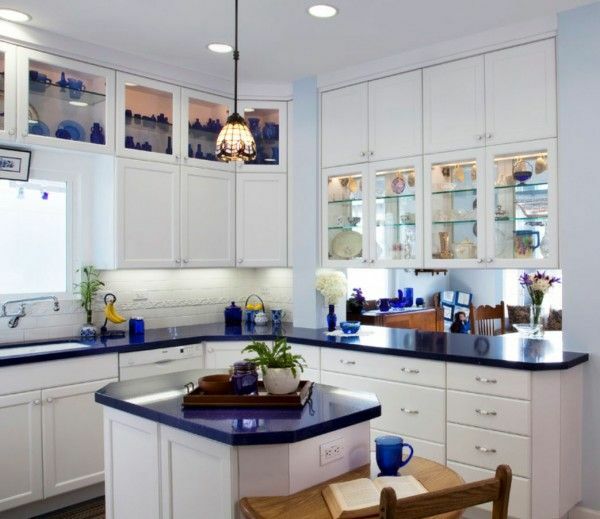 Do you already have a great blue backsplash in mind and need to lock down the perfect white cabinets to go along with it? Check out our amazing white shaker cabinets online today.